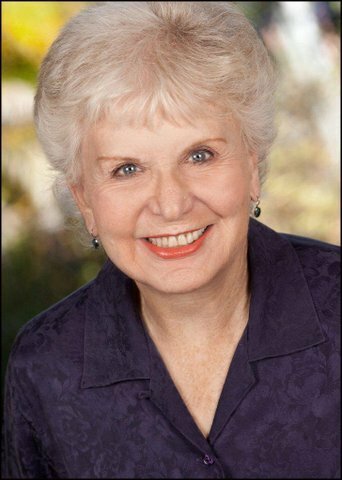 UPDATE: A “celebration’ of the life of Iris Acker – the iconic actress, teacher, producer and theater booster through her television shows — has been scheduled for 7 p.m. Monday October 15 at a location to be announced soon, said her son Mitch and her friend Tony Finstrom. Acker, 88, died Sunday morning after a long battle with cancer. So Finstrom is organizing a event emceed by actor-playwright Michael McKeever that will be more a show” than a memorial service. It will look back at her career, tentatively featuring music, singing likely from the three musicals she often told stories about (Gypsy, Fiddler on the Roof and Minnie’s Boys), replaying her reel of commercials, a slide show, a few testimonials and someone tap dancing in honor of the first part of Acker’s professional career. Per her wishes, it likely won’t run more than about 30 to 45 minutes, giving people time to share stories before and after. A recipient for memorial donations is being solidified in the next few days, said Mitch Acker. With a talent for light comedy and musicals, she once was one of the busiest actresses in the state, appearing at nearly every large and small venue across the region. Yet she became as well-known to later generations as the creator, executive producer and host of a series of public television interview shows that championed the arts for 32 years. But her legacy has as much to do with her off-stage work. She was the first woman president of the local chapter of the American Federation of TV and Radio Artists as well as serving on the national board, and became the first Actors’ Equity Liaison for the State of Florida. She created and paid for the region’s first casting hotline – on an answering machine – to help her colleagues find opportunities. Later, she began a half-price ticket program she dubbed “Ticket Madness” based in book stores and which evolved into WLRN’s Cultural Connection. The longtime Hallandale Beach resident died about 6 a.m. Sunday at Aventura Hospital and Medical Center after radiation treatments Thursday for pancreatic cancer, which she had fought for about six years. She was 88 years old. Her son, Mitch, was flying back from Indonesia, so funeral arrangements have not been announced. “I just talked with her Wednesday,” her granddaughter Jillian Acker said Monday night. “She didn’t even say she was going in” for treatment. To a stranger’s cursory glance, Iris Acker appeared to be just another silver-haired condo dweller. But within seconds of meeting her, people could not miss a charismatic glow accentuated by bright eyes, a graceful verve in her dancer’s still trim body, a hearty laugh and that unique voice – a Bronx-born brogue carefully cultivated so that words like “thee-a-tur” had a cultured flourish to them. Acker had seen and been a player in the region’s evolution from primarily dinner theaters with few Equity actors to an explosion of risk-taking venues and a phalanx of Equity performers. Awards figured prominently in her career. She was one of the earliest mainstays of the Carbonell Awards, later directing several of the presentation events and serving as a judge for the local equivalent of the Tony Award. In 2008, she joined forces with playwright Tony Finstrom and critic Ron Levitt to create the Silver Palm Awards while serving on the board of the Theatre League of South Florida. Unlike the highly competitive and tightly structured Carbonells, the Silver Palms were envisioned as more collegial. There are no competing nominees, just recipients in a wide and loose array of categories. 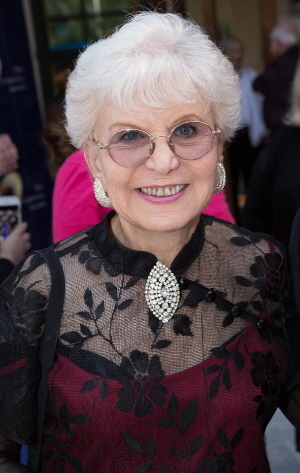 Her contributions earned numerous honors including the Carbonell’s Howard Kleinberg Award in 2015 as special recognition for “contributions to the health and development of the arts in South Florida,” a lifetime service award from the Theatre League of South Florida, the Remy Pioneer Award from the League, and ones she especially prized: the Breaking the Glass Ceiling Award from the Jewish Museum of Florida and the Women Who Make a Difference honor from the YWCA. Her resume encompasses scores of stage, film, television assignments and more than 250 commercials, a talent she taught to many students and which served as the basis of her first book, The Secrets to Auditioning For Commercials. She also compiled a book of her celebrity interviews, So, What Got You Where You Are Today. Her stage credits feature performances alongside newcomers and celebrities at the Ruth Foreman Theatre, the Coconut Grove Playhouse, Hollywood Playhouse, Royal Palm Dinner Theatre and the Burt Reynolds Dinner Theater, even the Manhattan Theater Club and Grossingers resort. Those experiences fueled her penchant for storytelling. She easily slipped into tales such as touring the country as Golde in Fiddler on the Roof with an unimpressive but lovable Kurt Kasznar as Tevye. She told of being cast without an audition as Lou Jacobi’s wife in Norman Is That You? for the first play that Burt Reynolds produced. His dinner theater was still being built down the road from their Manatee venue where the cast had to stop acting when a train passed by a few yards away. In addition to acting, Acker produced shows, especially as artistic director at the Shores Performing Arts Theatre in Miami Shores for four years beginning in 1992. Her last major stage role was the mother in The Tale of Allergist’s Wife at the Boca Raton Theatre Guild in 2011. Her career in local television began when a WLRN executive approached her about doing program focused on the local arts scene. She quipped that she had performed on programs back in New York, but she had never hosted a TV show before — but she assumed she could learn. The first shows were acting classes with other teachers. Then her national contacts, along with the help of press agent Charlie Cinnamon, fueled the guest list for On Stage With Iris Acker. She nabbed one-on-one interviews with virtually every famous name coming through the region from Chita Rivera to Valerie Harper, Theodore Bikel to Edward Villella, Estelle Getty to Phyllis Diller, and Hal Linden who she often noted was her first boyfriend. Eleven years later, the program moved to WXEL, then Comcast. For the past five years, the renamed Spotlight on the Arts has been broadcast as a multi-host panel interview like The View on BECON-TV, the station owned and operated by the Broward County school district. But the programs she produced intentionally brought needed visibility to smaller, emerging local theater companies and artists in a wide range of disciplines from puppetry to drum circles. Her love affair with performing began as a child in the Bronx where film hoofers mesmerized her. Already getting leads in the school plays (“because I had a loud voice”), she convinced her mother to allow her to study tap and ballet. By her teens, she was scoring professional gigs. She preferred being in the chorus, but kept getting small acting parts and was persuaded to take acting courses. The work grew increasingly frequent including a sideline in commercials and an appearance in television shows like The Kraft Music Hall. She worked on national tours that sometimes took her to Florida. A director she knew in New York called to say he needed her to replace a leading lady in the Neil Simon play The Gingerbread Lady at the Ruth Foreman Theatre in Miami. The same director then asked her to join the cast of the light comedy The Merry-Go-Round with Julie Newmar at the Stage Door Dinner Theatre in Fort Lauderdale during a cold winter. She returned to New York, but the lack of Florida actors trained in commercials resulted in being hired regularly locally and her finding a local agent. The ensuing work was so steady with stage roles in Plaza Suite in Orlando and a Minnie‘s Boys tour based in Miami that she moved here in 1974 from Queens. Her husband Philip Yacker agreed to phase out his automotive sales business over a year and then joined her on the condition that they live on a 37-foot sloop anchored in Coconut Grove. For a while, the larger theaters in the area cast primarily from New York and she had some trouble even being allowed to audition. For a few years, she focused on raising a family and teaching dance. But eventually, her skill as a light comedienne (she appeared in most of the early Neil Simon plays) won her a stream of work in supporting roles. “I got a reputation for being able to work with most difficult actors – and a lot of them are,” she said with a laugh. When film companies came to South Florida, she won small roles in movies like Cocoon II. Her success at commercials flourished as well, with gigs selling vacuum cleaners with Tony Randall and Mr. Coffee gig Joe DiMaggio. In the interview August 31, fresh from a trip to Europe, she showed off her large collection of playbills from performances “at theaters no one has heard of” and gave the reporter a tour of her self-described ego wall featuring photographs and memorabilia of dozens of productions and scores of television interviews. Survivors include her sons, Mitch of the Virgin Islands, and Robert of Kendall; grandchildren Jillian, Andrew and Erinn of the Atlanta area, and four great-grandchildren. Her husband died in 2010. This entry was posted in News and tagged Iris Acker. Bookmark the permalink. I am so sorry to read this. Iris was very sweet to me. 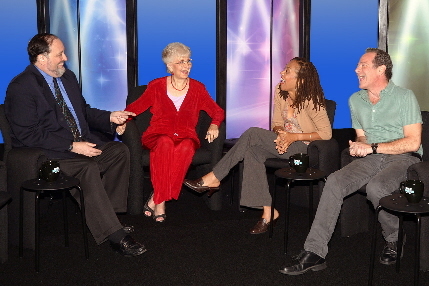 Iris invited me on her show twice to inform her audiences about AAPACT and Black Theater in South Florida. Iris accompanied by Tony Finstrom had come out to see AAPACT shows and show produced by the African Heritage Cultural Arts Center. We will miss you, Iris. May God bless you. The theatrical heavens are shining bright today. This is so sad… For the past two years, she volunteered two hours a week with us, as a narrator, at Insight for the Blind. I’m not sure anyone here even knew she was sick — she was always on the move from here, to dance class, to the gym, to Becon, to every show. Her zest for life and kindness to others was an inspiration for all of us. I just learned this today as we were in a production meeting. I feel very lucky to have been able to meet Iris and chat with her both on camera and off. What an extraordinary person she was. Great write up by Bill Hershman, captures her perfectly. Iris will be missed for sure. Your article is a tribute to her life. Thanks for sharing. I responded to her “Publix” story and she responded back on FB and a few days later she is with our maker. RIP Ms. Acker. Thank you for this moving tribute to Iris Acker’s wonderful life. She touched so many of us actors throughout our careers and will be forever in our hearts.